Let your little one take their My Life As 18&quot; doll (sold separately) to school with the My Life As School Toy Accessories Play Set for 18-inch Dolls. Ideal for the child who dreams of being a teacher, this toy set includes everything your child needs for their doll to have a learning-filled day at school and is perfect for fun and imaginative play. The nine piece set includes a messenger bag, water bottle, spinning fidget toy, ruler, pencil, pen, notebook, laptop computer, and banana. As part of the full collection of My Life As toys, the My Life As School Toy Accessories Play Set for 18-inch Dolls provides hours of playtime for any child over five and makes a wonderful Christmas, Hanukkah, holiday, or birthday present. 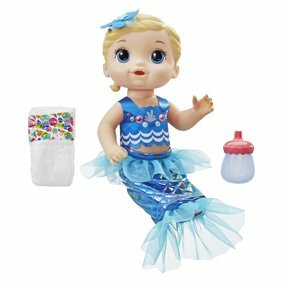 Let your little one take their My Life As 18" doll (sold separately) to school with the My Life As School Toy Accessories Play Set for 18-inch Dolls. Ideal for the child who dreams of being a teacher, this toy set includes everything your child needs for their doll to have a learning-filled day at school and is perfect for fun and imaginative play. The nine piece set includes a messenger bag, water bottle, spinning fidget toy, ruler, pencil, pen, notebook, laptop computer, and banana. As part of the full collection of My Life As toys, the My Life As School Toy Accessories Play Set for 18-inch Dolls provides hours of playtime for any child over five and makes a wonderful Christmas, Hanukkah, holiday, or birthday present.